ExchangeDefender Compliance Archive was designed as a blend of services and products to help organizations achieve regulatory compliance. This complex process is always evolving with new regulatory requirements, changes in organization structure, and unique reporting requirements. Email backups are not sufficient for nearly any modern regulatory compliance requirements for email retention. Not only can the messages be deleted before backups run, but running reports across the entire organization is next to impossible, not to mention excessively expensive. We recently assisted a partner managing a small 15 employee office in their backup and restore process to locate a message from 5 years ago, costing the organization over $18,000 in IT labor alone. Having a product or a service subscription is different from being in compliance with regulatory requirements. The difference between having a product and being in compliance is similar to “We have a CPA” and “We have filed our tax returns on time” – mistaking the two can be costly and dangerous. Most organizations downplay the importance of long term email archiving and eDiscovery. 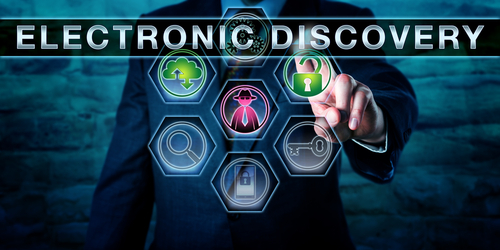 An overwhelming majority of subscribers to our eDiscovery service don’t have a specific regulatory requirement at all, they do it to effectively defend themselves from legal threats that are all too common these days. With email being the gateway for all corporate communication, it is the first place record retentions, legal holds, and subpoenas are issued for electronic records and there needs to be a system in place to effectively deliver that information. Regulatory compliance goes far beyond poorly interpreted recommendations and laws. It is a process of producing reports, identifying problems, and assuring that corporate communications policies are being followed, or at least addressed, in case there is an issue. If the organization does not have people in charge of managing the compliance on a monthly basis or there are no current reports searching for dangerous or sensitive content or there is no ongoing maintenance or an established incident record – the organization is likely out of compliance even if they purchased the right software or signed up for the right service at one point. Someone is not a good person to rely on when you get a subpoena and they are even more difficult to get into a courtroom. Plus, how much would you trust them to demonstrate expertise and defend the implementation of the compliance archiving and eDiscovery solution? Many organizations make a mistake of thinking that just signing up for a service or purchasing a product is sufficient for compliance but it’s really just a starting point. You need the personnel, product, service, and reporting to fully achieve regulatory compliance. ExchangeDefender Compliance Archiving and eDiscovery are a part of a professional service that helps get your organization and its means of communication on path to achieving regulatory compliance. Whenever someone is fully confident that they have their compliance in order we simply ask them to “show me your last Compliance Officer Report” and almost everyone struggles to produce the report or even name the Compliance Officer, the processes being used for archiving, the type of data protection, or the way in which the entire process is tested and audited. With ExchangeDefender Compliance Archiving, you not only get a service, you get a partner that will work with you every step of the way in achieving your regulatory and organizational needs for proper record keeping.